Summary: Set in prehistoric France, Kai’s story begins with the discovery of his clubfoot at birth. His parents are told to abandon him to the wolves, but the wolves spare his life, and his mother rescues him. He grows up in a loving home, but is not allowed to hunt or even touch the weapons the other boys use to learn how to become hunters. Kai has always had a connection to the yellow wolves that live nearby, and when one of the females is killed, Kai decides to adopt one of her pups. He raises her to be a pet, but some in his community feel threatened by the presence of both Kai and his wolf. After a near-fatal showdown with some of the other boys, Kai decides he must strike out on his own, with only Uff, his wolf, for a companion. 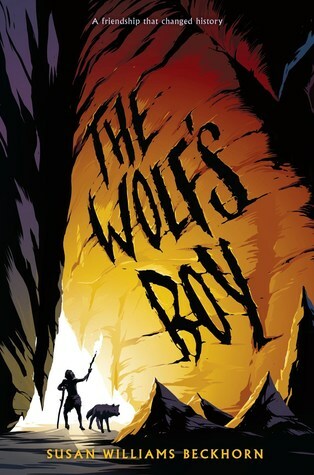 The second half of the book tells the story of his survival, including a mysterious Ice Man who rescues Kai from an avalanche and nurses him back to health in a cave. Near the end, Uff is mauled by a bear and nearly killed; that crisis helps Kai decide that it is time for him to return home. 240 pages; grades 3-7. Pros: People from a far-distant past come to life in the pages of this exciting historical fiction story. Kids will connect with Kai’s experiences with his family, bullies, a girl he likes, and most of all, the dog he loves. Cons: Because the setting is so unfamiliar, kids may find some parts of the story confusing.